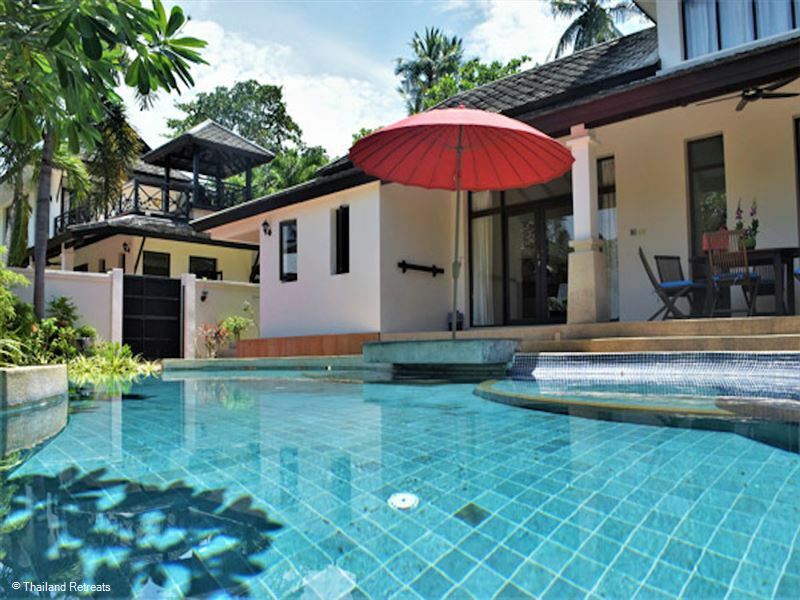 The villa provides spacious accommodation for up to 8 guests and with its own private pool and jacuzzi set in a secluded garden it allows guests to relax in quiet privacy. Alternatively, located a mere half minute stroll through lush tropical gardens and right next to the beach, a larger shared pool is also available to Banyan Villas guests. 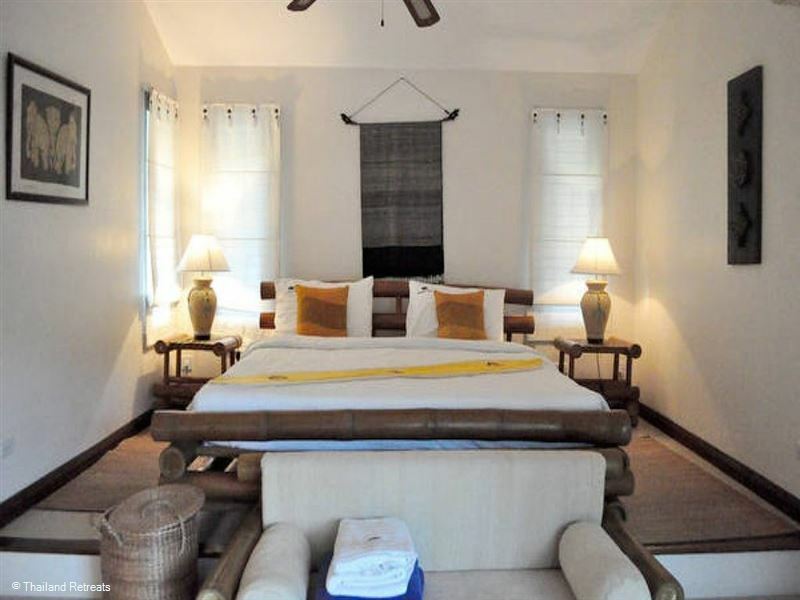 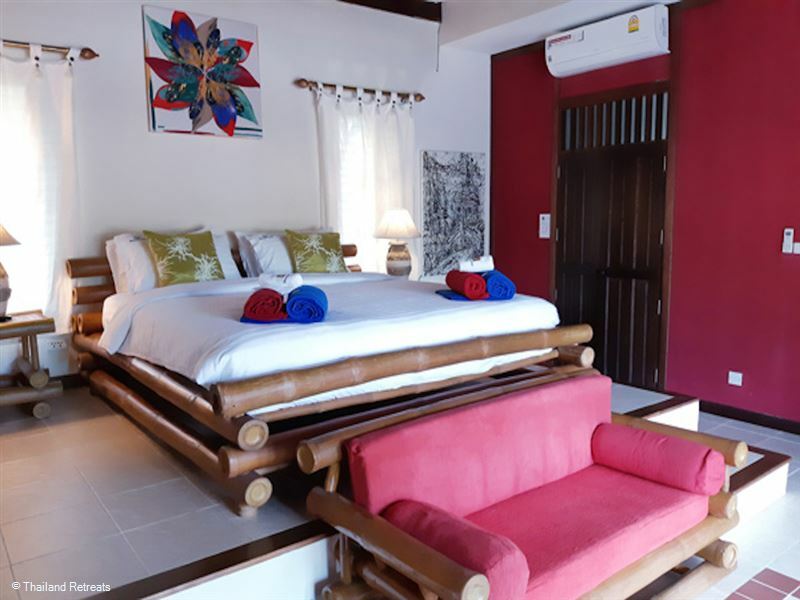 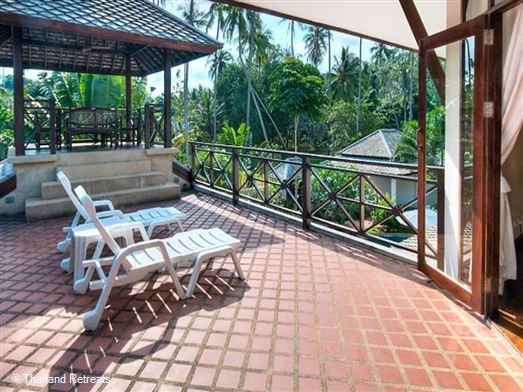 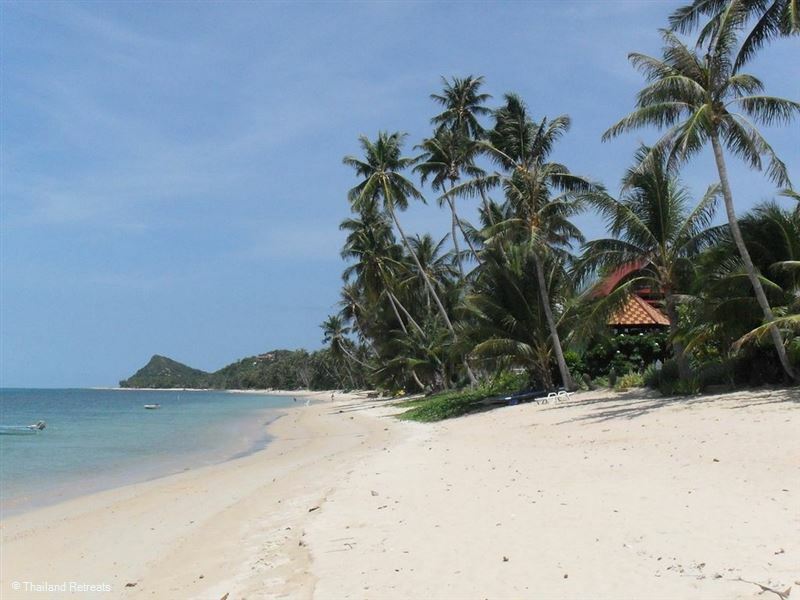 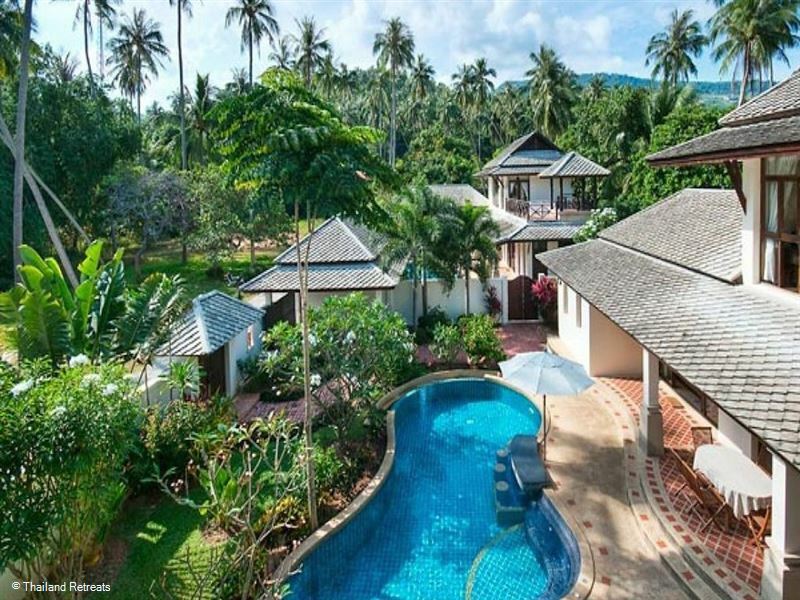 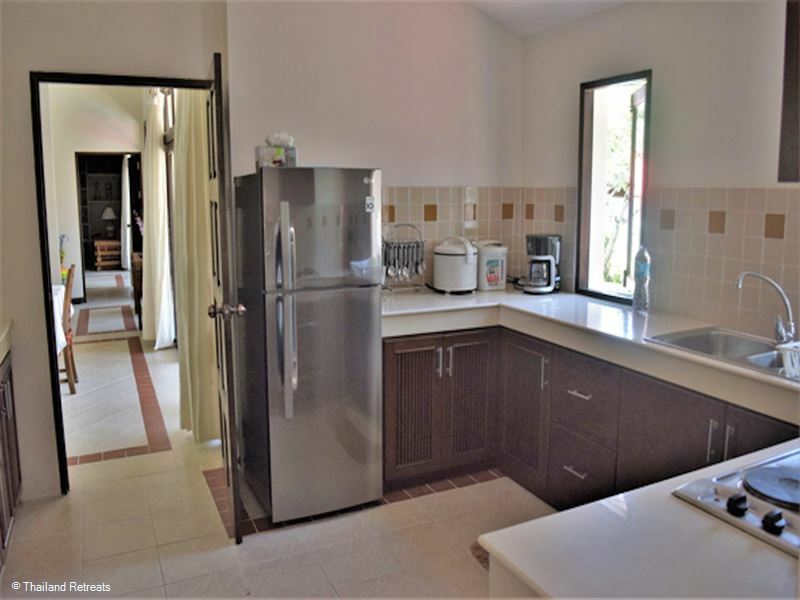 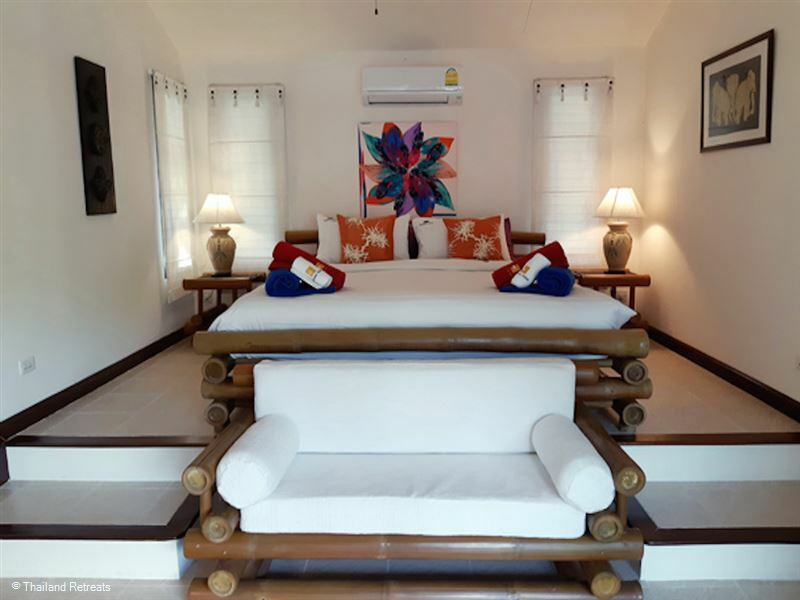 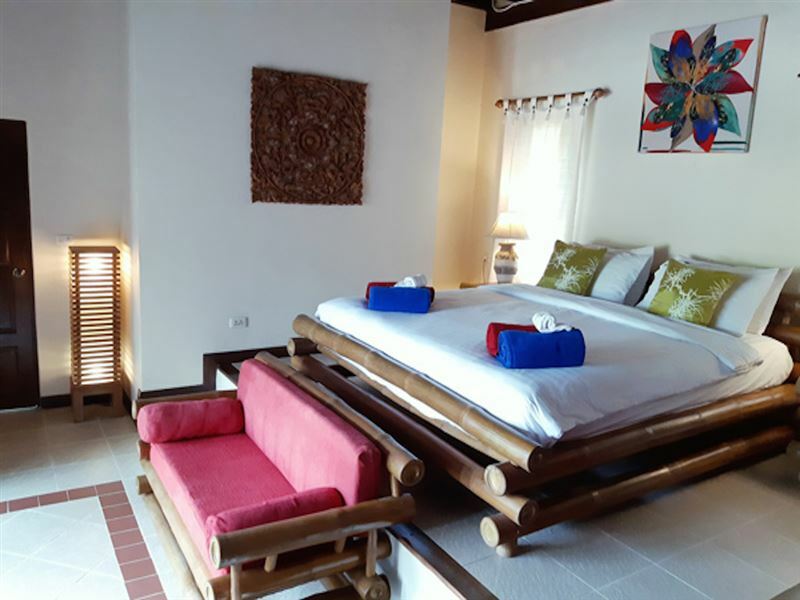 The Villa is tastefully furnished throughout in Chinese style teakwood and bamboo with ceiling fans to most rooms, air-conditioned bedroom accommodation is found on the ground floor whilst the sea breezes can be enjoyed in the first floor living, bar and balcony areas. 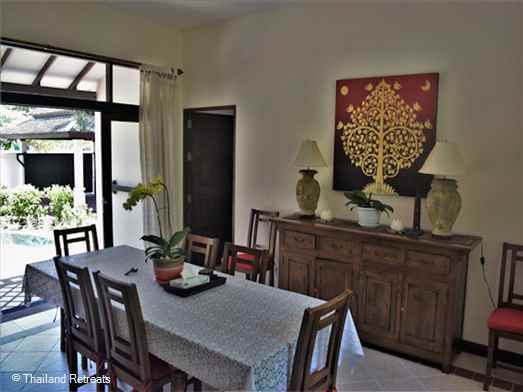 Stairs lead from the dining room to the upstairs living area. 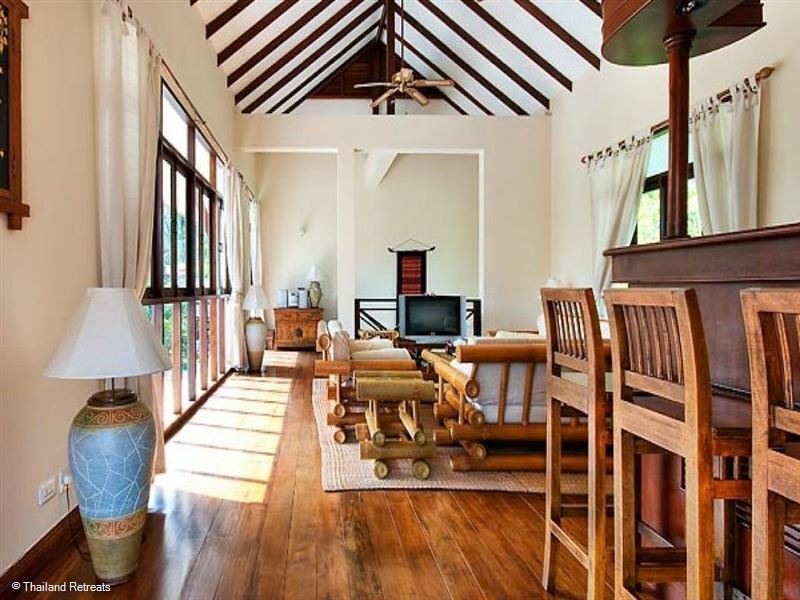 Again furnished in teak and bamboo, the living area has a bar area, guest powder room and double doors leading on to a large roof terrace and sala offering sea views and great for that evening sun-downer! The living room is equipped with a second bar fridge, satellite TV, DVD and stereo system. 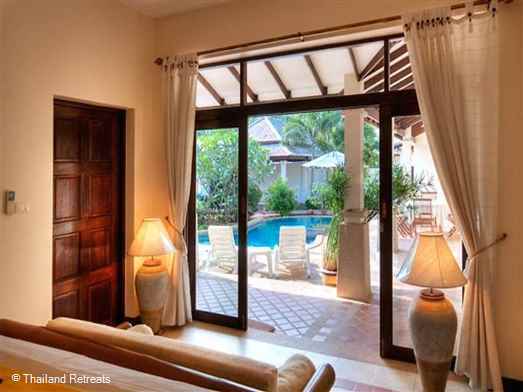 Downstairs the 3 main bedrooms open onto the pool terrace. 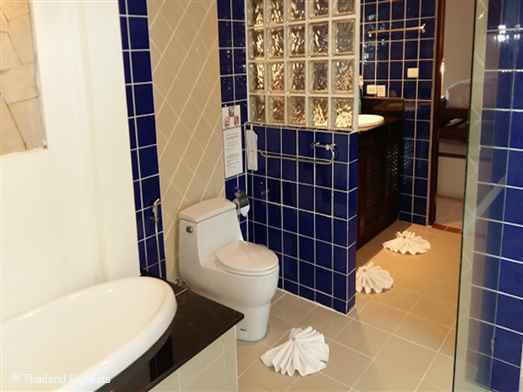 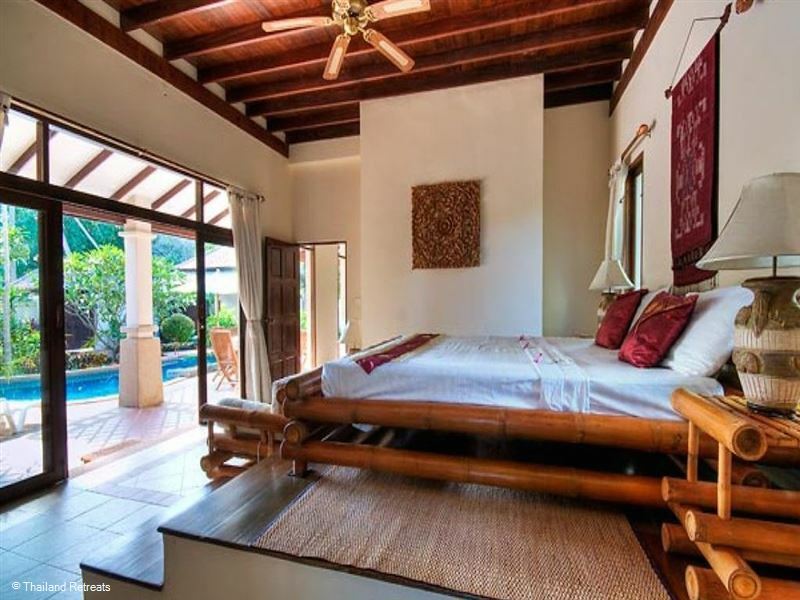 The master bedroom has a king sized bed and adjoining large en-suite with twin sinks, bath, shower and wc. Bedrooms 2 and 3 have a king sized bed and twin beds respectively, both have their own en-suite bathrooms. 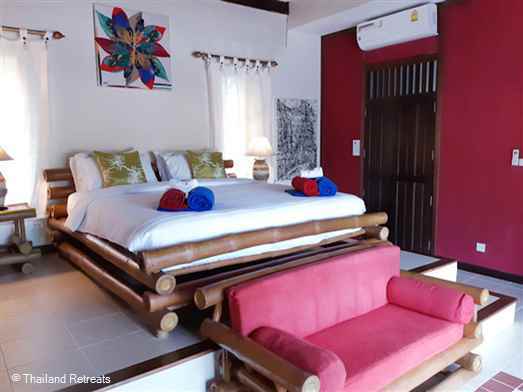 The 3 bedrooms are equipped with ceiling fans and air-conditioning. 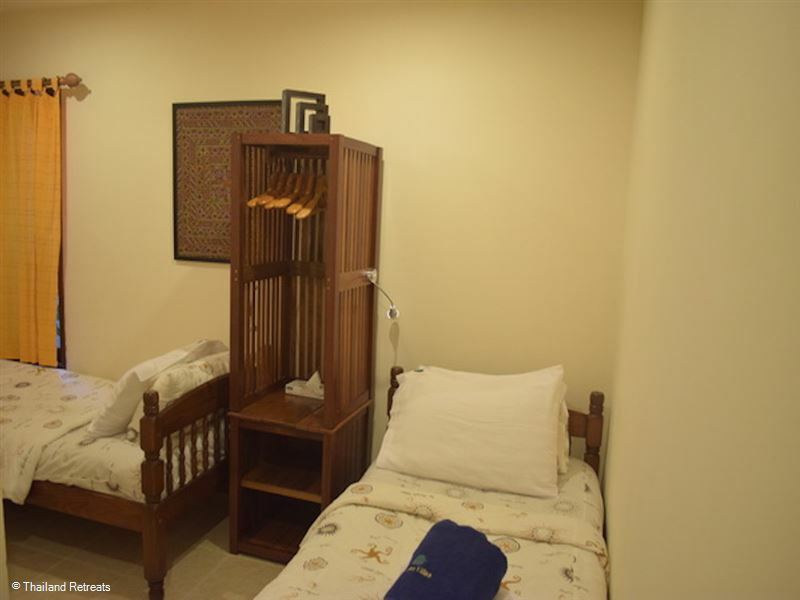 Bedroom 4 is located off the entrance porch and ideal for children yet large enough to accommodate adults. The beds can be separated into 2 single beds that can just fit in this smaller bedroom with an en-suite bathroom. The Villa is built around its own private pool surrounded by mature gardens filled with tropical colour and protected from outside disturbance by the surrounding wall. 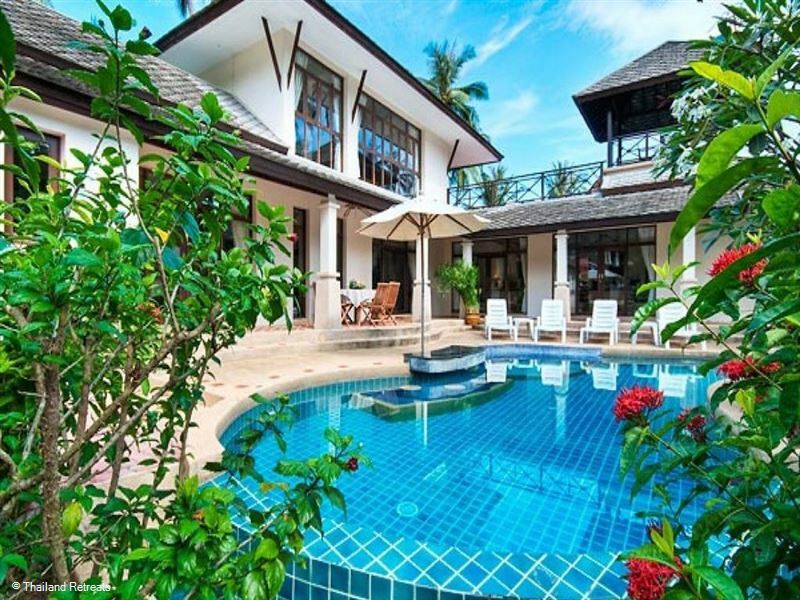 The pool is about 1.2 meters deep along its entire 10 meter length and features both a jacuzzi, submerged stools and a bar within the pool itself. 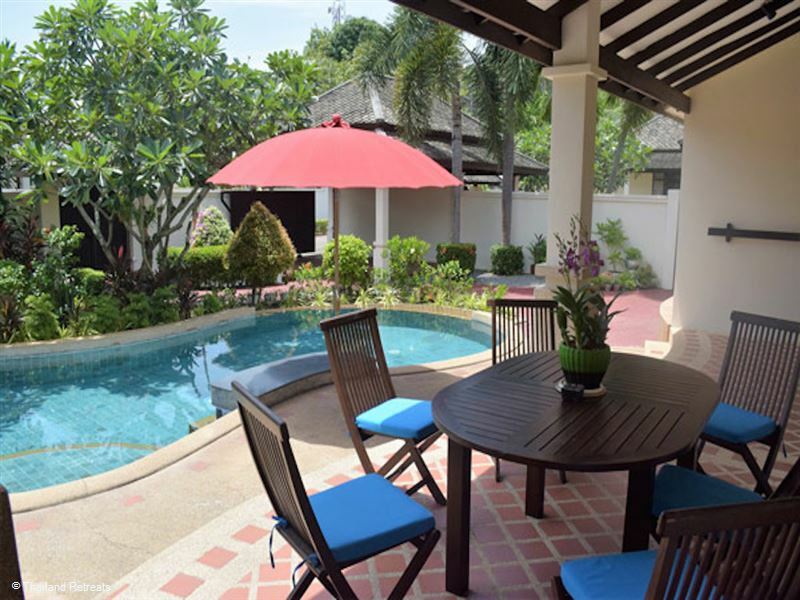 Sun-loungers are available on the poolside terrace, along with a garden table and chairs. 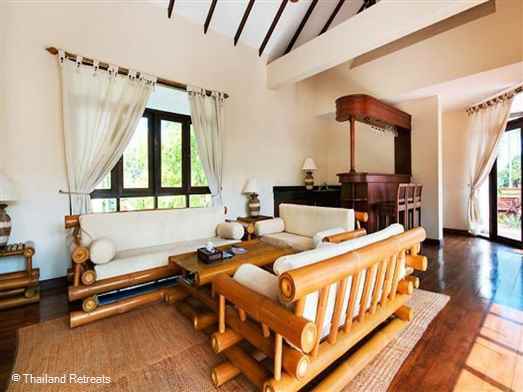 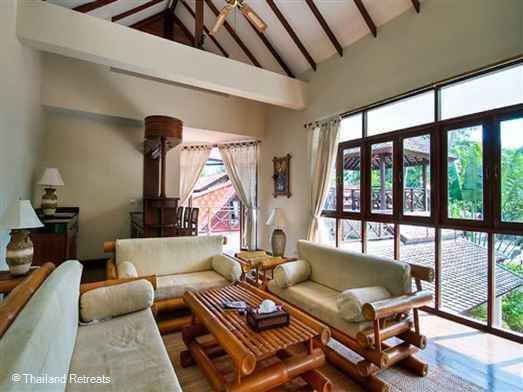 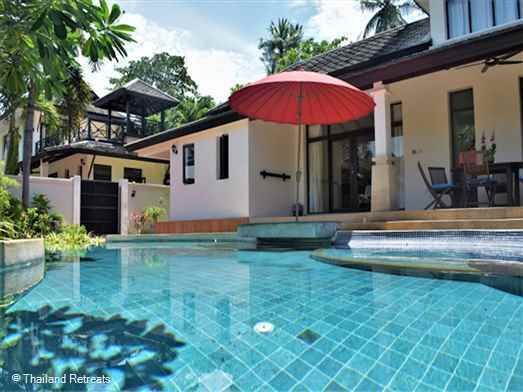 Banyan Villa 1 can be rented together with the 3 bedroom Banyan Villa 2 doubling the space available, catering for groups of up to 14 people who can enjoy the quiet seclusion of the villas' two pools and jacuzzis. Bedroom 4 has bunk beds or 1 or 2 singles.